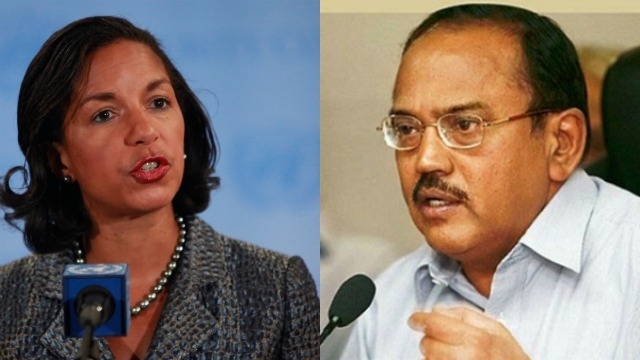 The National Security Advisor of the United States of America, Susan Rice called the Indian Security Advisor Ajit Doval. With the motto of US is committing a war on terror. Further, she also added about the Uri Attack and said Pakistan is expected to bring the justice of crime on these incidents. “Ambassador Rice reiterated our expectation that Pakistan takes effective action to combat and delegitimise United Nations-designated terrorist individuals and entities, including Lashkar-e-Tayyiba, Jaish-e-Muhammad, and their affiliates,” Spokesperson of National Security Council Ned Price said. Susan Rice further said to Doval that, President Barack Obama is committed to bringing the justice about the terror. In its strongest remarks yet on the attacks in Uri which includes the terrorist groups like Jaish-e-Mohammad which the India blames for the terror attack that killed 18 brave heart soldiers on 18 September. In a phone call to her Indian counterpart, Ajit Doval on Wednesday offered greater help on a matter of counter-terrorism and designating that those who behind the Pakistan-based militant groups targeting India. “She affirmed President Obama’s commitment to redouble our efforts to bring to justice the perpetrators of terrorism throughout the world,” Mr Price said. “Ambassador Rice discussed our shared commitment to India to pursue regional peace and stability and pledged to deepen collaboration on counter-terrorism matters including on UN terrorist designations,” Mr Price added. The conversation between National Security Advisor’s of US and India comes in the midst of India is going to isolate Pakistan. India also pulled out SAARC (South Asian Association for Regional Corporation) summit and got support from all regions except Sri Lanka. Today in Delhi, Prime Minister Narendra Modi will chair the meeting and announces the MFN status to Pakistan. The meeting will be attended by Narendra Modi and officials of Ministry of External Affairs and Commerce Ministry.